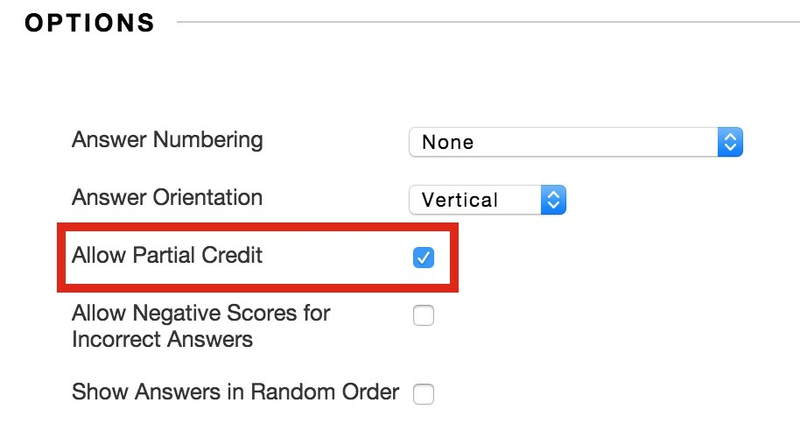 Blackboard allows you to create extra credit questions, penalize students for incorrect answers and give partial credit for incorrect answers. Go to your Test Canvas. 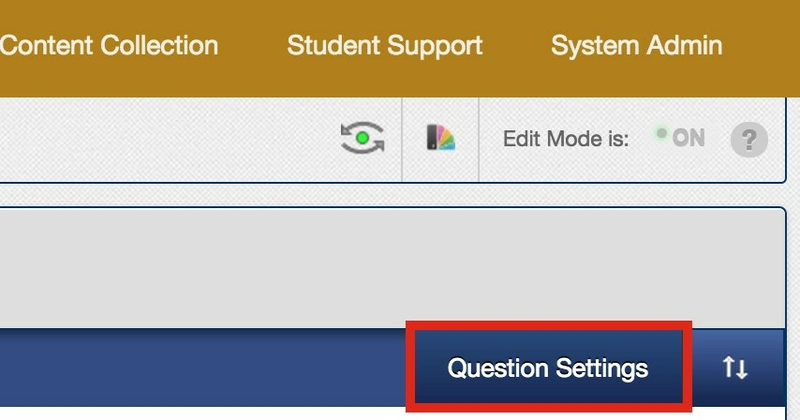 Click Question Settings in the right corner. Find your question in the test canvas. Click the point value box on the right. Check the Extra Credit box and enter a point value. Create a question using the standard workflow. 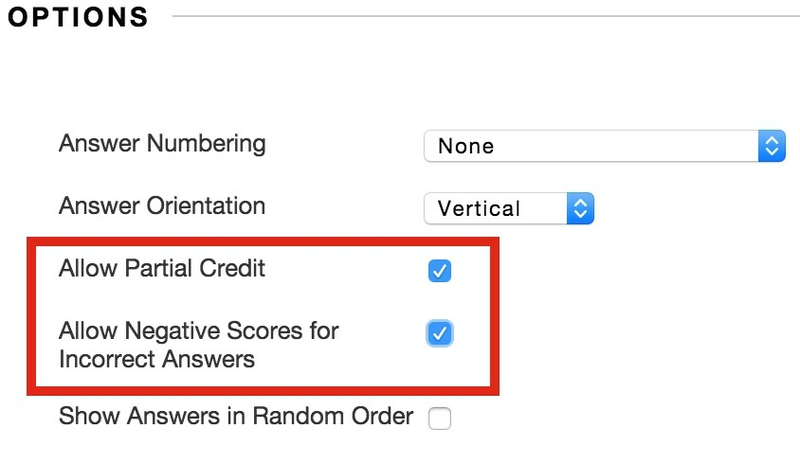 Check the Allow Partial Credit and Allow Negative Scores for Incorrect Answers. Enter the negative credit percentage in the Partial Credit % box. Check the Allow Partial Credit box. Enter the partial credit percentage in the Partial Credit % box.